Oxford Christmas Market will open for an additional six days this year. The market will open from 7th December to 22nd December, lasting for 16 days in total. The market will retain the same number of stalls, around 60, and will once again be located in the beautiful setting of Broad Street underneath the dreaming spires. The longer duration was something widely requested by visitors to the market and has been unanimously supported by Oxford City Council and Oxfordshire County Council. Stalls for 2018 are already fully booked with many new businesses signing up. A range of festive gifts, food, drink and entertainment will be available over the sixteen days. 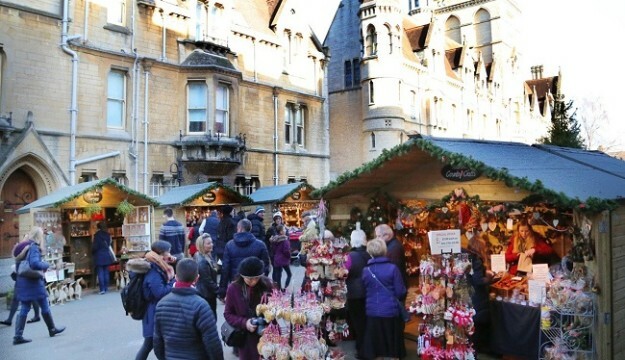 Visit the Oxford Christmas Market website for a full list of stalls.